Next years recruitment needs to happen the year before. You don’t have time. The last quarter of the year is the most fragile time. The necessity of recruitment for next year is a fragile and tricky one. The job search is already in full swing, both from job seekers and employers. 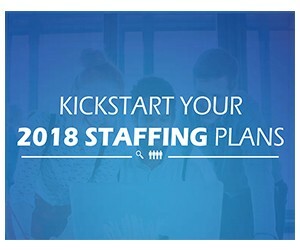 How can you use the last quarter of 2017 to swing smoothly into your 2018 staffing plans? Kick start your recruitment 2-3 months BEFORE 2018 starts so you can drill deep into the candidates we find for you. Spend some extra time thinking hard about what roles need to be filled, how these roles will impact your organisation both long term & short term. Once you have gathered this insight, match this insight to the skills and personalities that are most necessary to fill these roles. One of the most important factors to remember right now, is that critical skills such as Developers, Sage experts, and IT specialists are a rare and unique skill. Keep in mind the candidate may have already organized their end of year personal and career plans, therefore consider adapting your leave policy in order to meet the candidates requirements. This will not only help you plan for 2018 but shows potential candidates that your company culture is one of flexibility and consideration. Once 2018 swings in, it’s swings in hard and at lightening speed. At LAIntronet we want to ensure your 2018 starts off in the smoothest possible way, so let’s recruit smart and start the search for your perfect candidate before the rush of 2018.